Or view larger version. Indian of California. ca. 1816. Louis Choris, artist. Watercolor on paper. Collection of Oakland Museum of California. 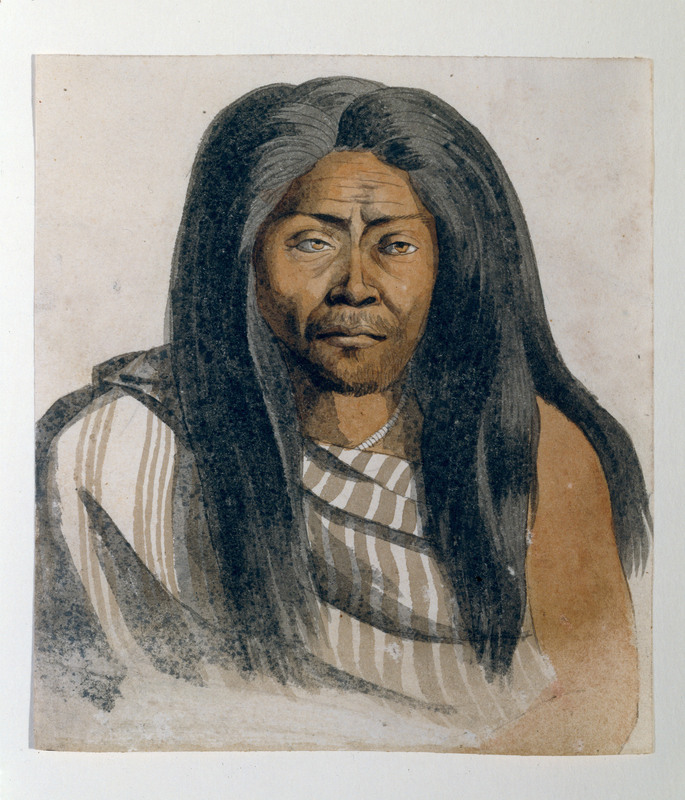 The painting is a portrait of a Native American man. The artist, Louis Choris, visited the San Francisco Bay Area in 1816, as part of a Russian expedition led by Otto von Kotzebue. He spent time at the San Francisco Mission, also known as Mission Dolores, where there were some fifteen different tribal groups of local Indians including members of the Ohlone, Coast Miwok and Yokuts.